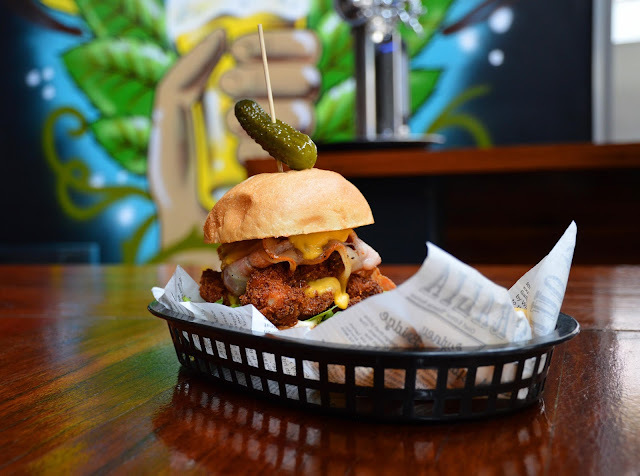 So when we heard, Taps in Fortitude valley had recently launched a brand new menu that now included an epic burger lineup we moseyed on down to the valley to check it out. It was our civil duty. The things we do for you guys..
Like any good idea, the Taps we know today was born over an ice cold beer. During a trip to Europe in 2008 during Oktoberfest owner Steve Barber discovered a pub where each nationality sat at their own table with a screen above a tap counting how much beer had been knocked back. Brits, Germans, Aussies and Irish in a battle to the death. Aussies won of course, and Steve left Europe inspired to start a bar of his own one day. After discussing it with his mates over a few rounds of beer Taps Mooloolaba started to take shape. 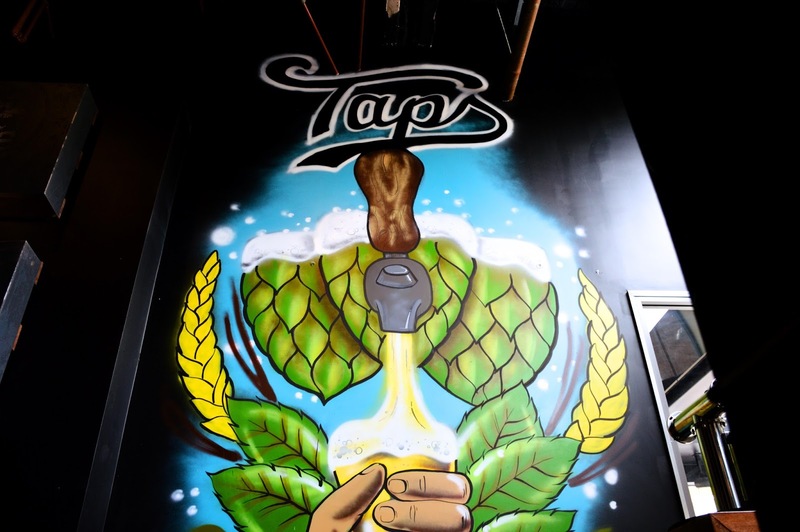 In 2015 Taps opened up a second bar in Fortitude Valley, with expansion throughout Australia yet to come. And just when you thought this place couldn't get any more awesome, they went and added a burger menu! 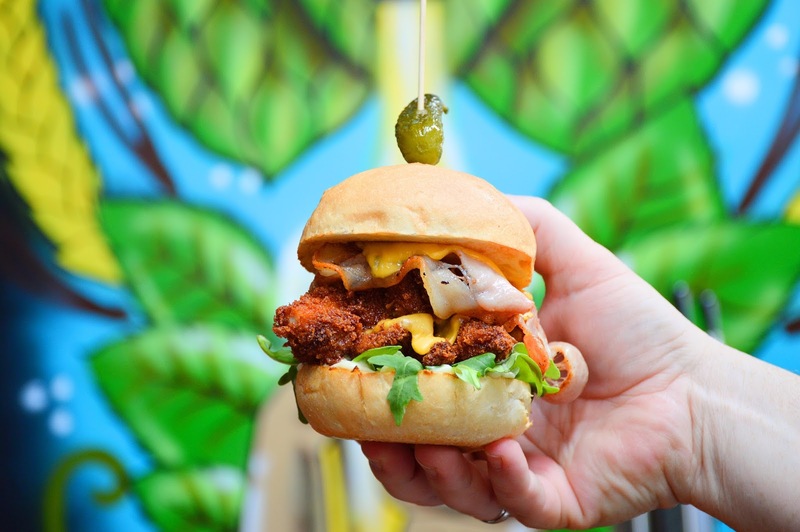 The menu features a number of sensational burger creations like the Clogger (Medium Rare Beef Pattie + Bacon + Creamy Mac n Cheese) and one of the best damn fried chicken sandwiches we have every had (Crispy Fried Chicken + Bacon + Cheddar Cheese + Jalapeno Mayo). 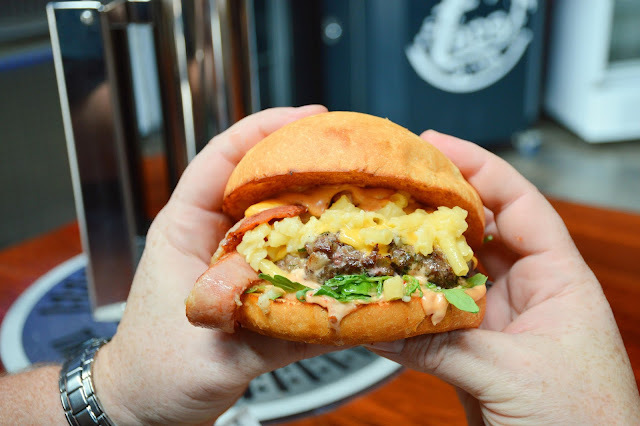 Don't worry Sunshine Coast foodies, the new burger menu will be launching at Taps Mooloolaba very soon.